P1274. ALEXIS WEISSENBERG, w.Pretre Cond. 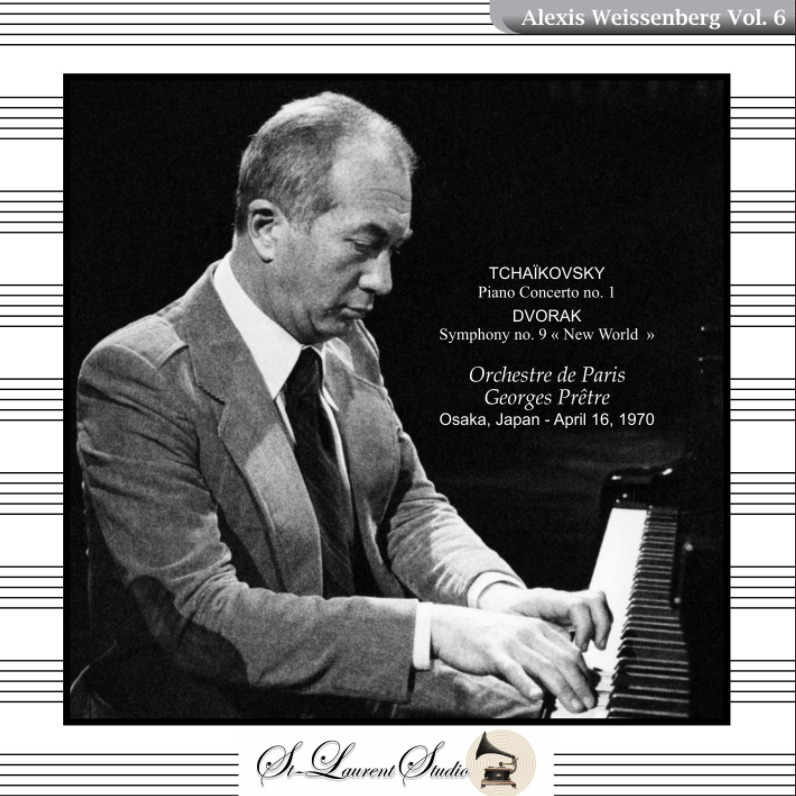 Orchestre de Paris: Piano Concerto #1 in b-flat (Tschaikowsky); Pretre Cond. : "New World' Symphony #9 in e (Dvorak). (Canada) St Laurent Studio YSL T-569, Live Performance, 16 April, 1970, Osaka, Japan. Transfers by Yves St Laurent. “Alexis Weissenberg, a charismatic Bulgarian-born pianist known for his thundering aggressiveness and rational detachment at the keyboard, and for his unapologetic defense of those traits in interviews, appeared as a soloist with the world’s leading orchestras, played recitals on celebrated stages and made many recordings. A naturalized French citizen, he was a Romantic specialist, most closely associated with Schumann, Chopin and perhaps especially Rachmaninoff, whose percussive pyrotechnics suited him. Mr. Weissenberg’s cool yet blazing approach divided reviewers. Where some heard impeccable technique, others heard soulless efficiency. Where some embraced the drama of his interpretations, others condemned them for aggressiveness. On these points, however, nearly everyone agreed: Mr. Weissenberg possessed a technical prowess rivaled by few other pianists. The ice of his demeanor at the keyboard (he sat, leaned forward and got down to business, playing with scarcely a smile or grimace) was matched by the fire that came off the keys. He could play very fast, and very loud. (Over time, verbs used to characterize his pianism included ‘barrel�, ‘tear�, ‘thunder� and ‘let loose�). Reviewing a 1982 Carnegie Hall recital by Mr. Weissenberg, in THE NEW YORK TIMES Bernard Holland called his rendition of Bach’s Chromatic Fantasy ‘chillingly scientific�. He added: ‘It was anatomy instruction conducted by a master � a brilliant dissection of cold, gray, gleaming flesh, from which every trace of living blood had been conscientiously squeezed away�. To his critics, Mr. Weissenberg had no shortage of articulate rejoinders. In a 1983 interview with THE GLOBE AND MAIL OF CANADA, he had this to say about his unemotional stage demeanor: ‘You cannot lose your control physically and be precise as to what your hands do. Can you imagine a surgeon operating on somebody, and swooning and looking up at the ceiling and being very excited about it? The patient would die. That is what happens in music too. The patient dies, because there’s too much going on besides the actual performance�. 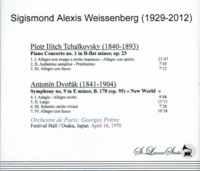 In any case, as reviews over many years made clear, Mr. Weissenberg did sometimes give performances, or make recordings, that were simply, electrically, unequivocally breathtaking. 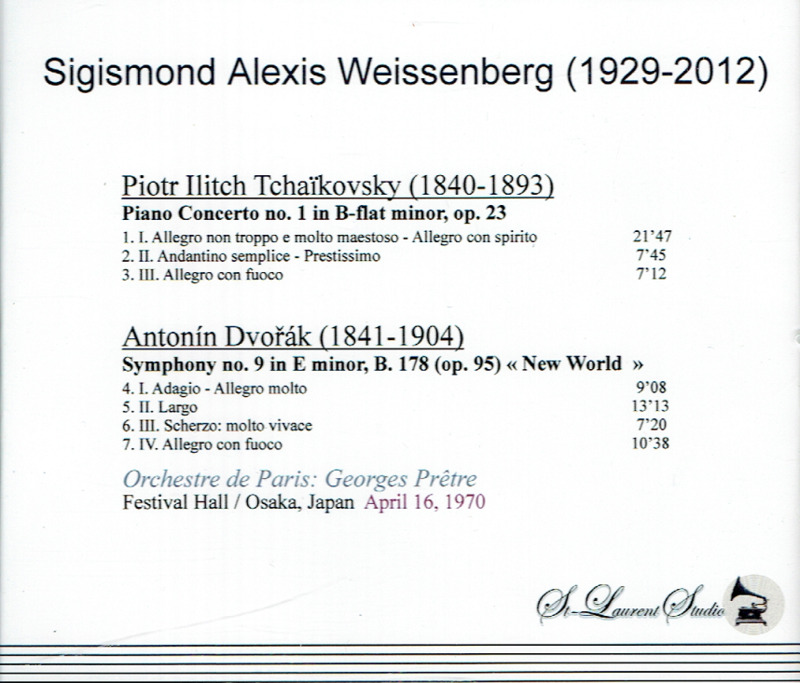 Alexis Sigismond Weissenberg was born in Sofia, Bulgaria, on 26 July, 1929. (He was billed as Sigi Weissenberg early in his career.) An only child, he was reared by his mother, a pianist from whom he took his first lessons. In 1941, after Bulgaria allied itself with the Axis Powers, Sigi and his mother, who were Jewish, attempted to cross into Turkey using false papers. As Mr. Weissenberg recounted in an autobiographical essay on his Web site, alexisweissenberg.com, they were detained for several months at a concentration camp on the border. With the aid of a sympathetic German officer, who loved the Schubert that Sigi played on an accordion he had managed to bring with him, they were able to escape. Mother and son made their way to Istanbul and eventually to Palestine. There, Sigi, already a fine pianist, performed with the Palestine Symphony and other orchestras. After the war, the young Mr. Weissenberg moved alone to New York, where he studied at the Juilliard School with the pianist Olga Samaroff and the composer Vincent Persichetti. In 1947, at 18, he won the Leventritt Award, a prestigious international music prize. He made his New York début the next year at Carnegie Hall, playing Chopin’s e minor Concerto with the New York Philharmonic under George Szell. In the mid-1950s, Mr. Weissenberg moved to France. By then, critical opinion had begun to dog him, and engagements on major stages were drying up. He took a long sabbatical from public performance, spending a decade teaching and studying. ‘As a young artist I learned new works very fast and played them much too soon�, he told NEWSWEEK in 1977. ‘In 10 years I would have reached a point where my whole repertory would have been overplayed and understudied. I did not want to end up at the age of 50 still a ‘promising� pianist�. He re-emerged in the mid-1960s, and by the 1970s was again performing widely. "Georges Pretre left his mark on the history of the Paris Opéra, namely by conducting great works of the French and Italian repertoires at the Palais Garnier up until the end of the 1980s."